Discover our extraordinary planet today! •	Choose and combine multiple layers to display cloud cover, precipitation, wind, pressure, etc. 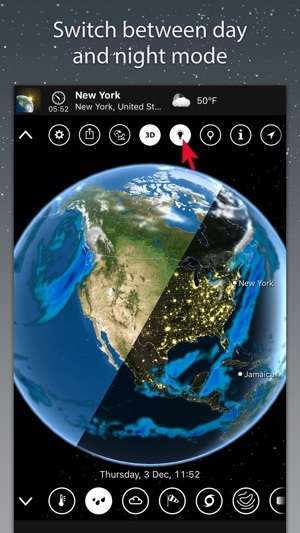 •	Connectivity to Apple TV – MeteoEarth and the big screen are made for each other! We also offer a premium service! 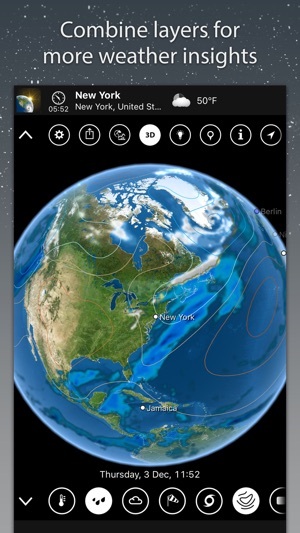 Choose the MeteoEarth Premium option for extended 5-day forecast and the option of checking wind conditions at any altitude right up to the Jetstream. 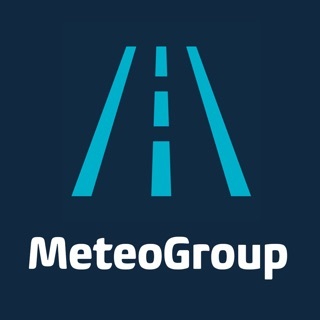 One subscription covers Premium services on MeteoEarth, AlertsPro and WeatherPro. The premium subscription also gives users a better viewing experience by removing all ads. We included ads in the free version to offer our users many of our Premium features for free, such as use of the storm tracker, multiple layer combination and more. 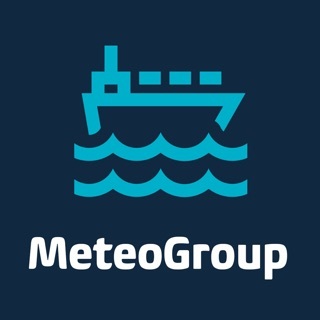 Additionally this helps us to ensure that our developers can keep updating and improving MeteoEarth, and that our support team can continue to assist you with any issues. 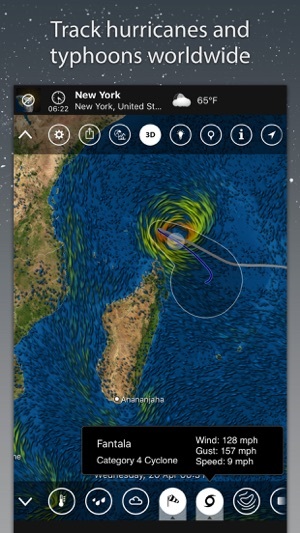 For more details please visit www.meteoearth.com, follow MeteoEarth at www.twitter.com/meteoearth or visit our help center https://meteogroup.zendesk.com. • We have fixed minor bugs which were reported via our help center. 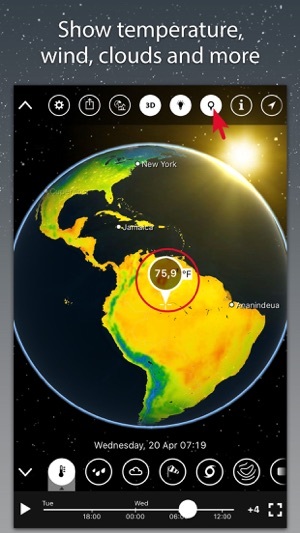 We hope you enjoy using MeteoEarth and we thank you for any feedback! Love it! I just don't like that the premium version charges a monthly fee instead of a one time fee for the application itself. I think having a monthly service charge is a little much. Besides that I've been using the app for a year now. I tried several others and end up deleting them. I love this App. Very easy to use, and the layout is easy to understand. Simple yet thorough. Great Job people! My dad is always updating everyone on the weather from the tv news reports though a lot of times inaccurate. Then I open this app and that's what I rely on. It's way more accurate. I wonder why? Best weather radar I have used!!!!! I have used a few different radar weather apps and this has by far been the best one. I have been using it for a few years now and I would say that when you have it in precipitation mode it is about 97 percent accurate. 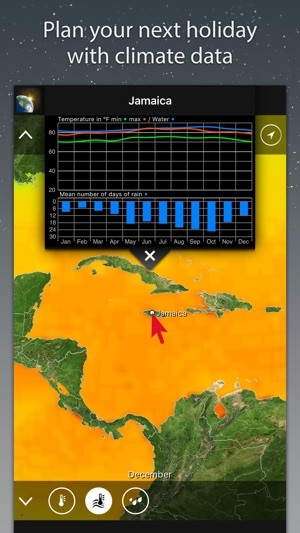 The ability for it to predict the forecast as been really reliable too. I also use the app on the Apple TV. Some times I just leave it on and let it toggle through the different settings while I play music it also rotates around the earth if you let it sit.